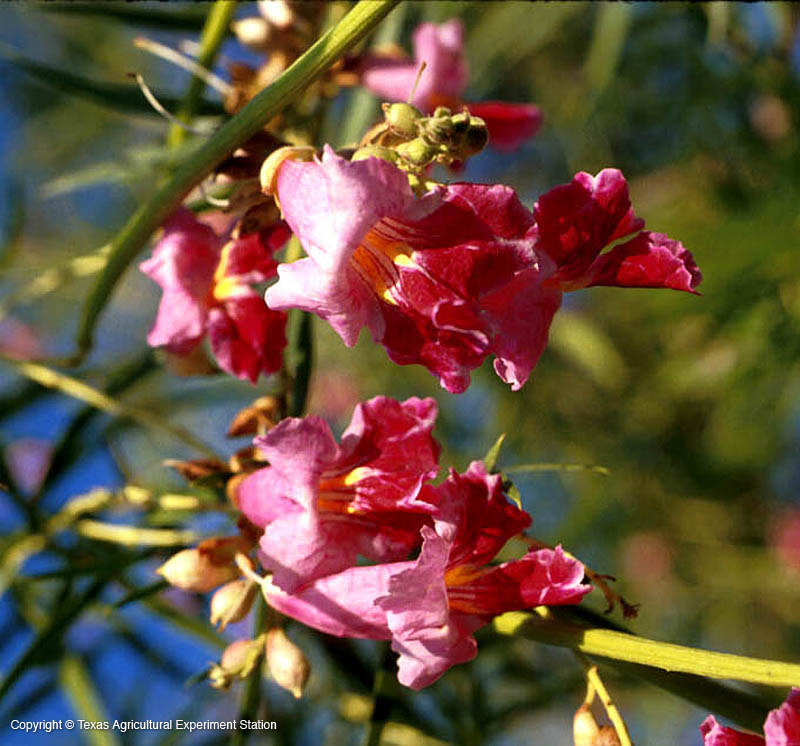 Desert willow is a delicate, small, deciduous tree native to west Texas and the Edwards Plateau. Its long narrow leaves resemble those of willows (Salix spp. ), although they are not related. Its flowers occur in showy clusters at the tips of the branches and on new wood, occurring from late spring to fall, depending on the rainfall. They are trumpet-shaped, sweetly fragrant, and range from light pink to light violet, rarely white or red. 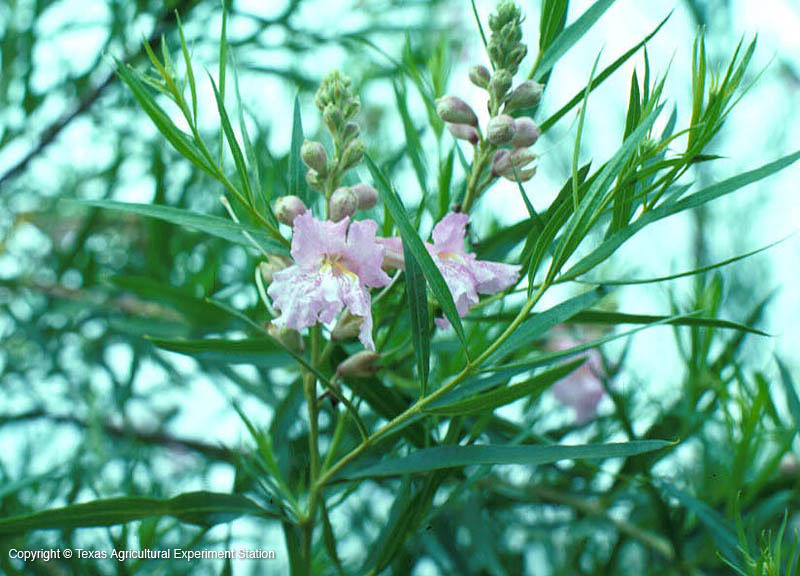 Its ability to withstand arid conditions, beautiful flowers and long flowering period make it one of Texas's best small native trees. It is easily cultivated but must have a well-drained site and must not be overwatered; in areas with more than 30 inches of annual rainfall, it must be planted in raised beds and watered carefully, especially in winter. Growth is irregular and requires attention to early trunk development. It can be pruned to a tree or shrub; since it blooms on new wood, the more it is pruned, the more it flowers. 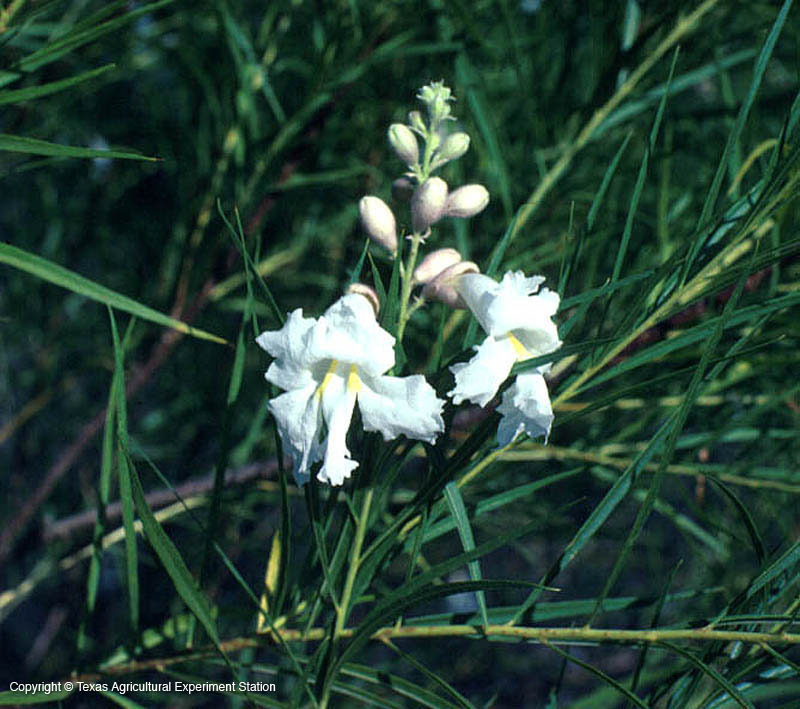 Additional Comments: The related X Chitalpa tashkentensis is a hybrid between Chilopsis linearis and Catalpa bignonioides with white to pale pink Catalpa-like flowers in recurring flushes, but is susceptible to Alterneria leaf spot.